The first week of the UEFA Nations League started with a bang, and while the European national teams are still adjusting to this new tournament, several teams have started brightly. The Ukrainian national team was paired with the Czech Republic on their opening day of this tournament. Despite the Czechs taking an early lead inside four minutes, the Ukrainians rallied to a hard-fought victory, where Manchester City’s Oleksandr Zinchenko scored the match-winning goal. Although they won the match, the Ukrainians will have to resolve various issues at the back, as they were often left exposed. 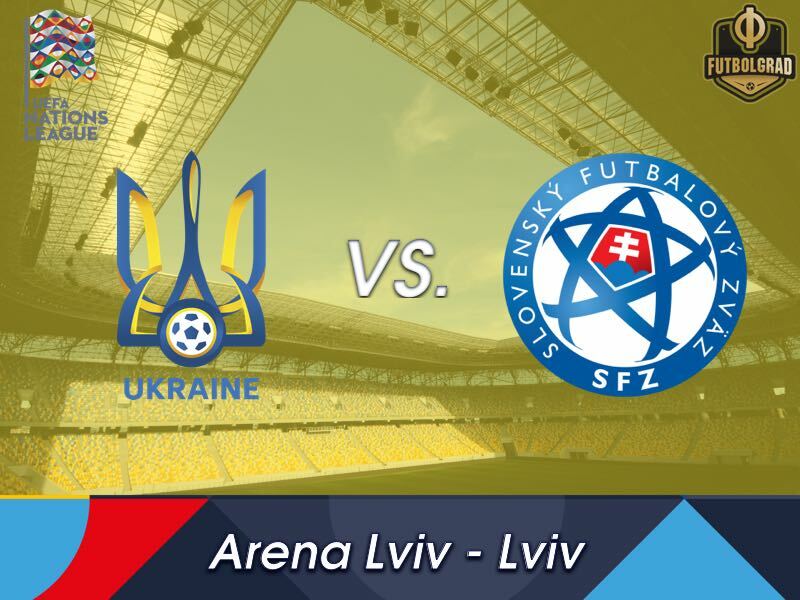 How the Czechs were unable to capitalize on some of these defensive errors is unknown, but if Ukraine hope to progress to League A, they will need to earn at least three victories within League B – Group 1 to secure promotion. A stubborn Slovak side stands in their way, and this should lead to an entertaining match. With a match already in hand, the Ukrainians will hope to earn another result against a rusty Slovak team. 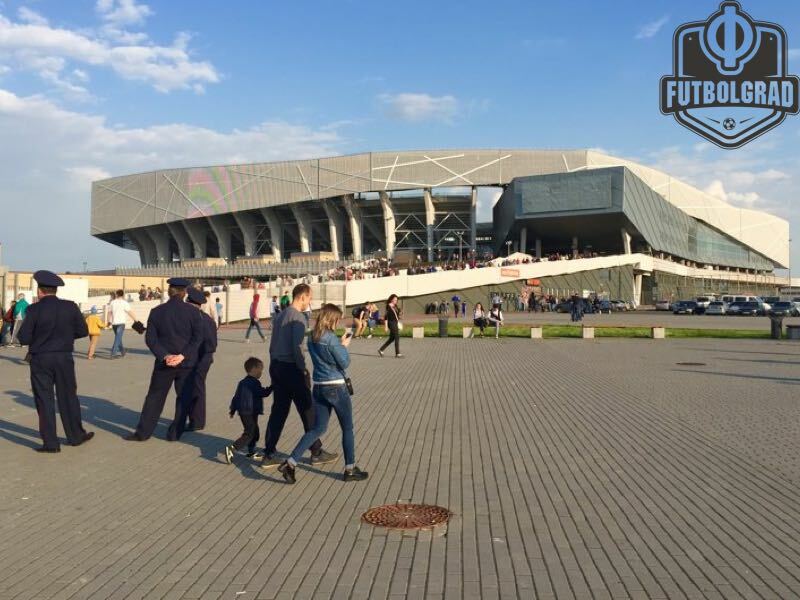 Slovakia, however, will hope to earn their first victory in the UEFA Nations League. Unlike Ukraine, the Slovaks have not played a competitive match since June 2018, and thus it is likely they will be as prepared for the match as their counterparts. Moreover, like Ukraine, they did not feature in the 2018 FIFA World Cup. Thus, in some cases, this match will be in Ukraine’s favour. There are reasons to be optimistic about this Slovakia side, however. First, this match will be held behind closed doors. Thus it will serve as a neutral ground. Second, although Ukraine has the better head to head record against the Slovaks, the Central European team has a stronger record against Ukraine when it comes to competitive matches (Ukraine win the tie due to their results in international friendlies). Third, based on the diversity of Slovak players throughout various European leagues, the Slovak team is much more experienced than their Ukrainian counterparts. With these points in mind, Slovakia will hope to earn their first win in the UEFA Nations League and thus would make League B – Group 1 more entertaining. Following the departure of Ukraine’s old guard, the midfielder has adopted a leadership role in this new Ukrainian national team. His ability on the ball, as well as his pace, have tormented various defences throughout his career, spanning from Real Madrid to Borussia Dortmund. 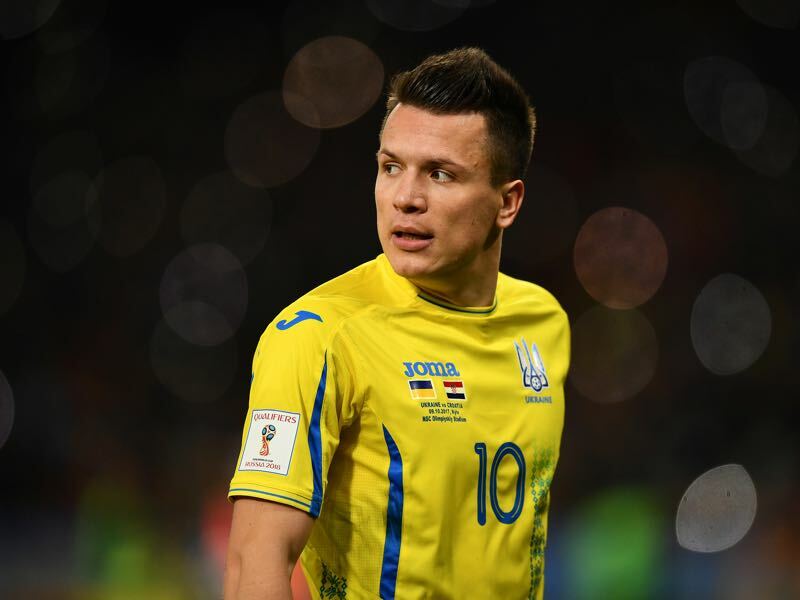 With his ability on the ball, and with Andriy Yarmolenko on the opposite side of midfield, Konoplyanka will certainly hope his side earn a positive result at home following their last-minute victory against the Czechs on Thursday. 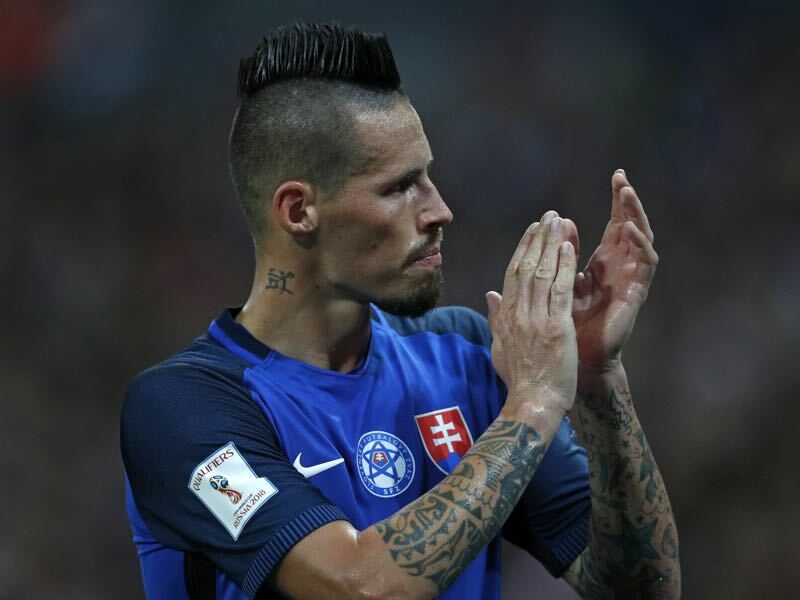 Perhaps the most well-known player from both national teams, Marek Hamšík has spent the majority of his career in Serie A at Napoli. Since joining the club in 2007, the midfielder has scored 100 goals in 396 league matches. His ability to control the midfield, as well as acting as a goal-scoring threat, should worry the Ukrainian defence If the Slovaks hope to earn a result away from home, it will likely be through this man. Ukraine leads the head to head against Slovakia with two victories, three draws, and one defeat. Ukraine and Slovakia were previously drawn against one another in Group C of the EURO 2016 qualification round. Slovakia won this tie with one victory and one draw. Both teams featured at EURO 2016. While Ukraine was eliminated in the Group Stage, Slovakia was eliminated by Germany in the Round of 16.